We have an official update from a blue post (Blizzard Post) on their forums. We have seen a number of posts from our community today regarding Journey to Un’Goro packs and the possibility that they might be distributing an abnormally high amount of duplicate cards. 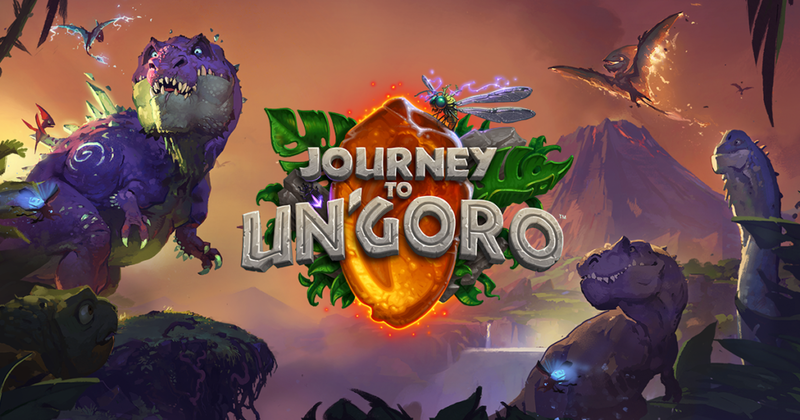 We want to assure everyone that we have looked into this concern and have found that Journey to Un’Goro card distribution is working properly, both at a per card and per rarity basis, and is consistent with previous Hearthstone releases. Thank you for bringing this to our attention. We really do appreciate all the feedback, even when related to possible bugs or concerns around the game. Seems like a lot of people are experiencing some issues with Blizzard’s Hearthstone RNG for the new expansion. People seem to have extremely low pull numbers with epics and legendary cards, but also seem to be getting way too many duplicates. Last night, I opened 56 packs and only pulled 1 legendary which seems really low. The odd thing is, I pulled some duplicates that have reached 7 or 9 duplicates of a card. The community seems to agree that this needs investigation and to be addressed. Here is a reddit post, where the user feels that his posts are being censored by the moderators on the official blizzard forums. Title: Journey to Un’Goro Pack Bug? Howdy all, I have opened 20 of the 50 packs from the Un’goro prepurchase this afternoon and already collected 6 duplicates of the Volcanosaur card – http://i.imgur.com/ZcEsMXv.jpg. Getting the same rare Volcanosaur every 1 in 4 packs is strangely reminiscent of the tri-class card pack issue with Mean Streets of Gadgetzan. Un’Goro has 36 unique rares (m=36) and I opened roughly 20 packs and discovered the same rare every 3 to 4 packs (N=4, note: the real N is 20/6 = 3.333… so I’m being generous here rounding up to 4). That means the chance of getting a single desired rare in 4 packs is: 1 – ((.88*36-1) / (.88*36))^4 = 0.12 or ~12%. You can check the numbers for yourself using Wolfram Alpha. http://www.wolframalpha.com/input/?i=1+-+((.88*36-1)+%2F+(.88*36))%5E4 Now we can ask the question what would be the odds of doing this every other consecutive 4 packs back to back. Put another way, what are the chances of winning 12% odds 4 times in a row? 12% multiplied by itself 4 times gives us 0.02% odds of this happening. This is effectively 1 in 5,000 odds to get the same rare card every 4 packs or 1 in 10,000 for every 3 packs. I find it curious that the Volcanosaur given away yesterday is showing up so frequently today in the preorder packs. If it were any other card I wouldn’t have bothered to look more closely. Perhaps it is a bug from yesterday’s daily quest? Something seems off here. Any ideas or just bad luck? Here are some more posts from users who feel that the card chances were lowered too far, and I’ll try to keep updating it. What do you think? How many legendary/epic/duplicates did you get? Next articleStar Wars – The Last Jedi trailer released!! !